We all knew this was coming. Facebook was planning about it for years and from a leaked info last October, it was confirmed that sooner or later it was going to happen. 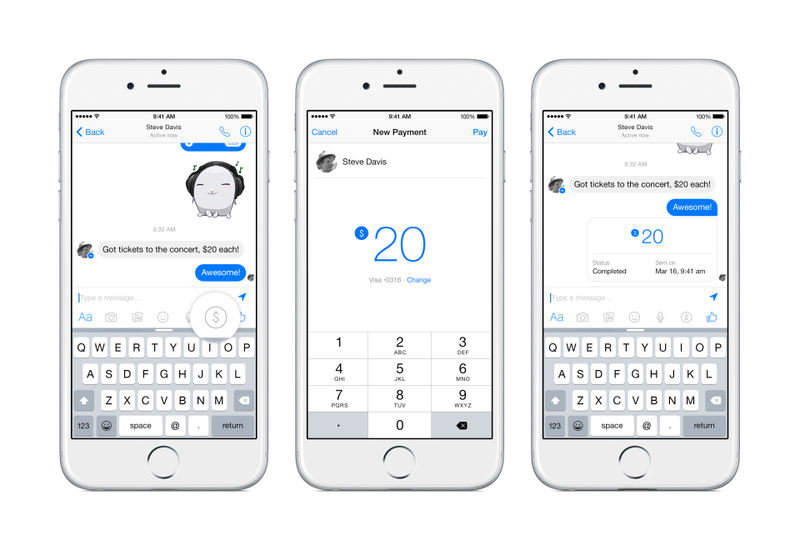 Facebook finally made it official where any Facebook messenger user with debit card assigned with a US bank account can send money to his/her friends and families. The feature will be rolling out in Android, iOS and Desktop in the coming months. For now the service will only be available in US. Security is the first priority for any users as Facebook already handles more than one million transactions daily on their site. Due to the gamers and advertisers, handling messenger transaction won’t be that much of a problem for them. Although the money is sent instantly, it might take two to three days to appear in your bank account. In order to avail the service, you will need a Visa or MasterCard to add to your messenger. Once added a PIN code, a touch ID for iOS users or even another layer of authentication can be set up. This new feature might help boost the popularity of Messenger. Facebook faced a lot of criticism for forcing their users to use another app just to chat with friends. With this Facebook is showing more functionality to its messaging app. Also if Facebook allows physical good buying in the future with this, then they can have a lot of data to target consumer with personalized data. For now this feature only makes people stay more close to Facebook. As of now, average people of US spends 21 minutes a day in Facebook which is 6% of their time spent online which makes the second most trafficked sites globally and locally behind Google. Let’s see how much the pattern changes in the upcoming months with this new service!